This is not for everyone, but for it is for me now. 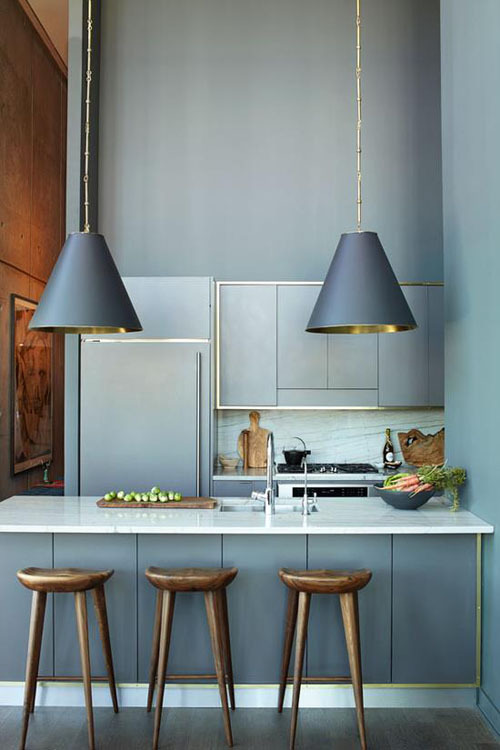 Grey can be a great alternative to a white clean kitchen and still be chic especially with the brass accents. Bassam Fellows stools…these I heart. Also loving the way it is styled with the brussel sprouts dancing along the wooden cutting board.